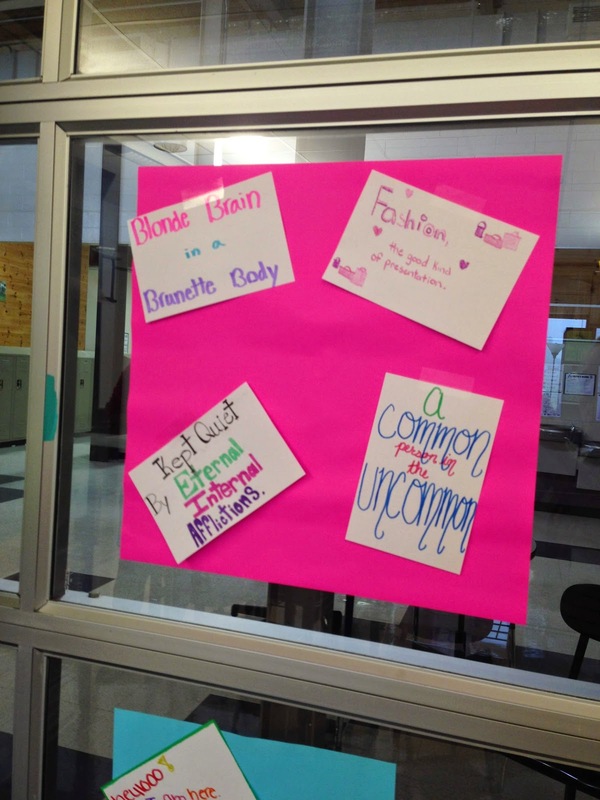 Teaching Teens in the 21st: 6 Word Memoirs and Genius Hour Startup! 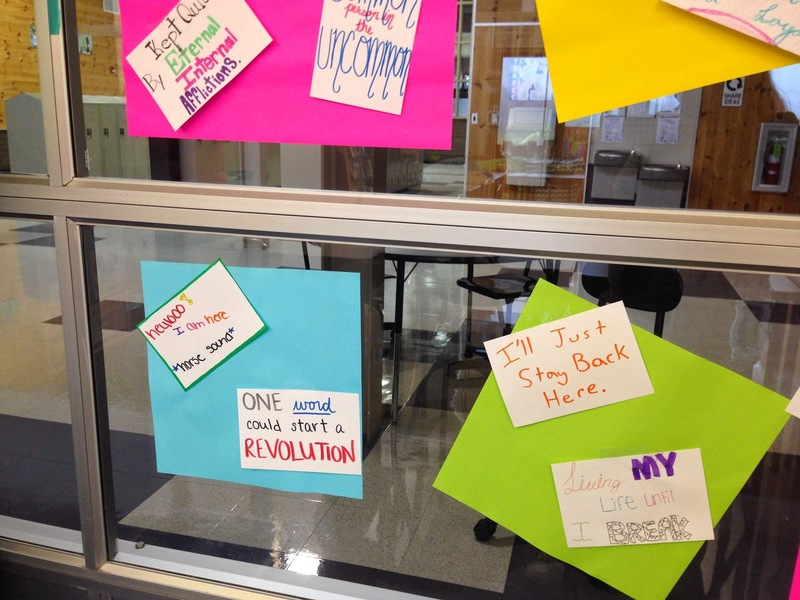 6 Word Memoirs and Genius Hour Startup! 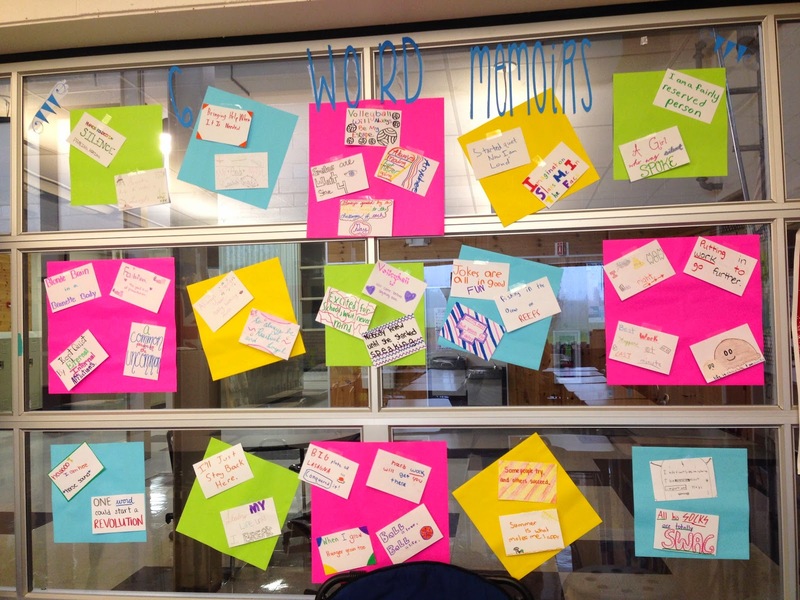 The 6 Word Memoirs today were really fantastic! I checked in the handout I posted for you all yesterday, and then students picked their favorite. 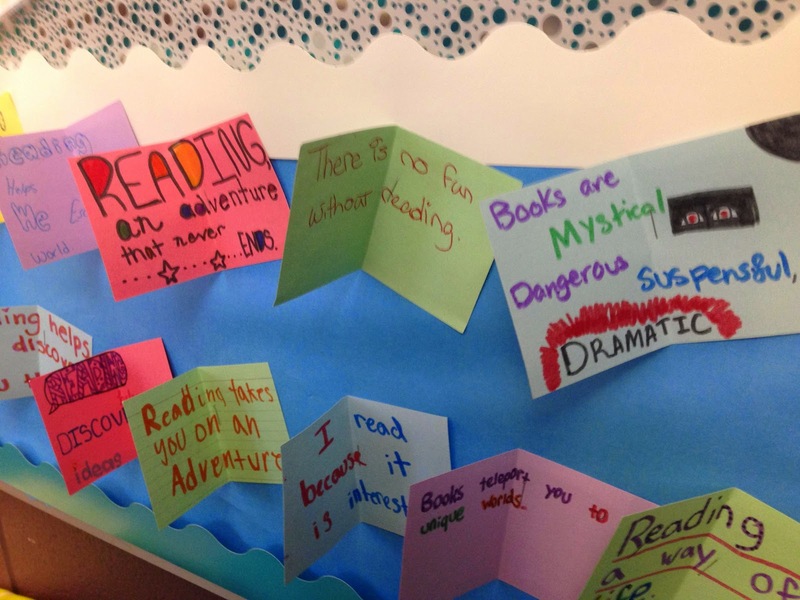 They edited as necessary for better words, and wrote them on large index cards. I like how unique each of them are, and some are funny while others are very deep. Even though students knew who wrote them, they were instructed to NOT write their assignment with the original author in mind. It had to be fiction, so they needed to make up an entirely new character who they could describe based on the 6WM. I can't wait to see what they come up with by Monday. Also, my students are submitting all assignments online this year, even small writing assignments. 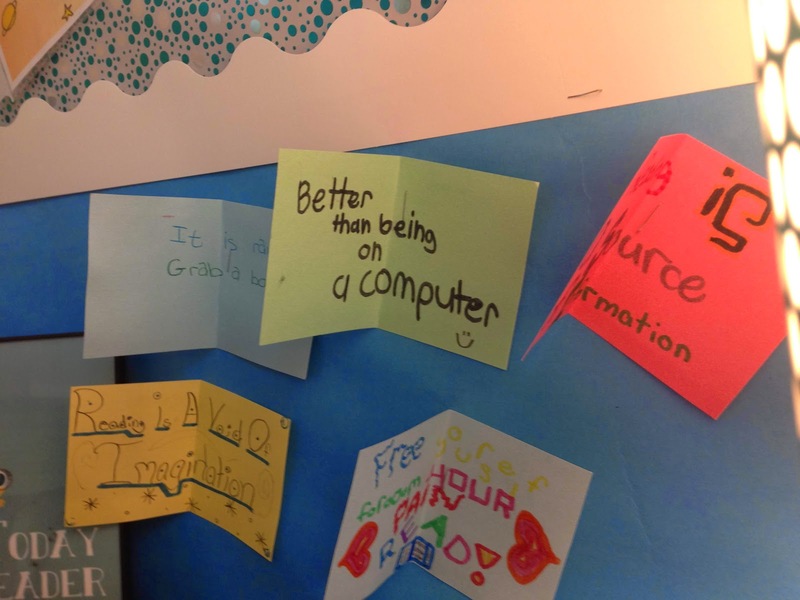 I am done with the massive amounts of paper from doing in class quick writes, so why not use the computers if I have them checked out? 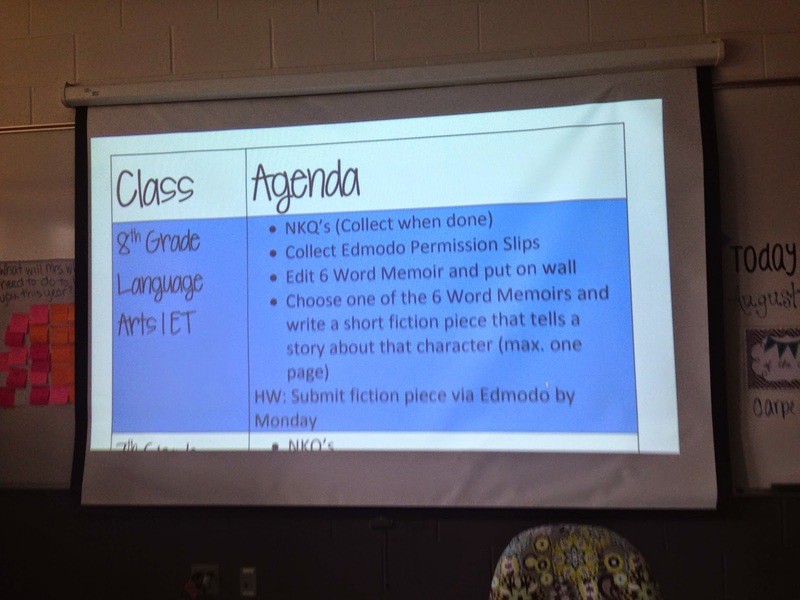 I post my agenda on the back board, but I also have an electronic copy at the front. I saved this as a template, and then I just make a new one every day. 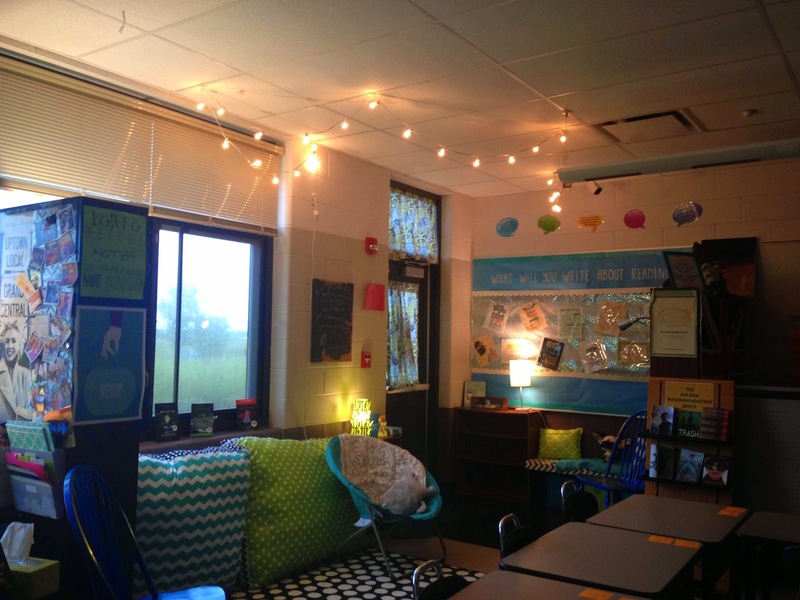 It's so great for emergency sub plans, and it's consistent for students. 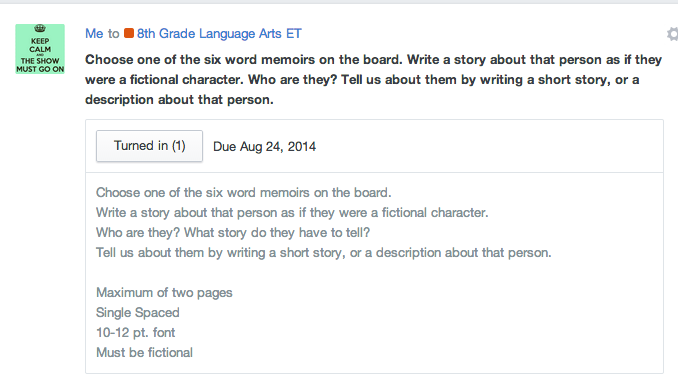 My suggestion is to create a student account, I always name mine Sally Student, and walk them through the process. Other than some of the computers not wanting to log on, everything went quite smoothly! 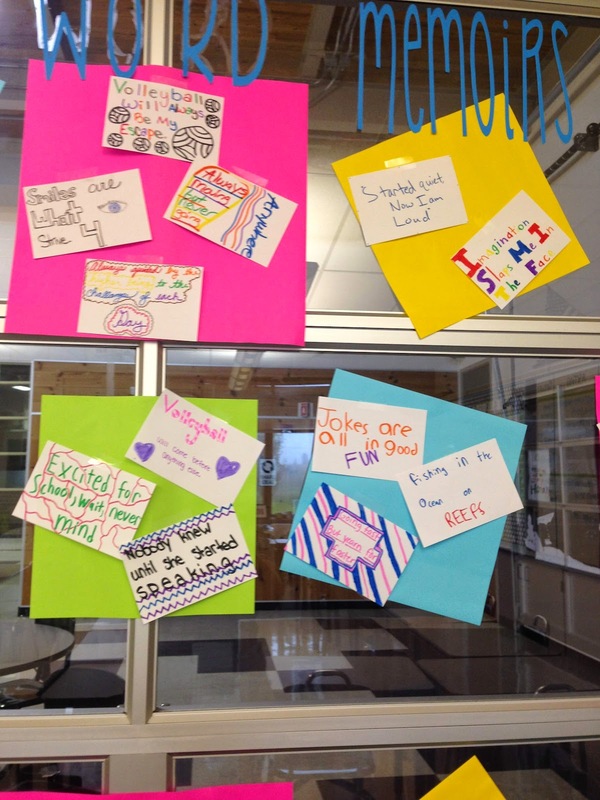 I'm hoping by the end of next week we can get to the brainstorming process for their project! 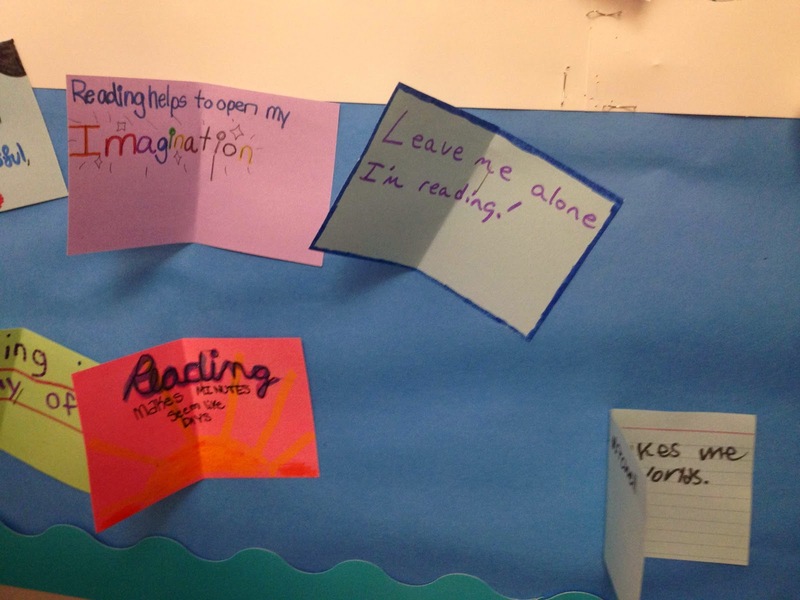 I love your "write about reading" activity! I might steal it and use it with my 6th graders. I also love the 6 word memoirs. I used to do those when I taught 7th honors...sigh, they would not be interesting if you ask fresh 6th grade students....maybe in May. I used the font KG Skinny Latte and cut them out on my silhouette cameo on cardstock! Where do I get the 6 word memoir handouts? 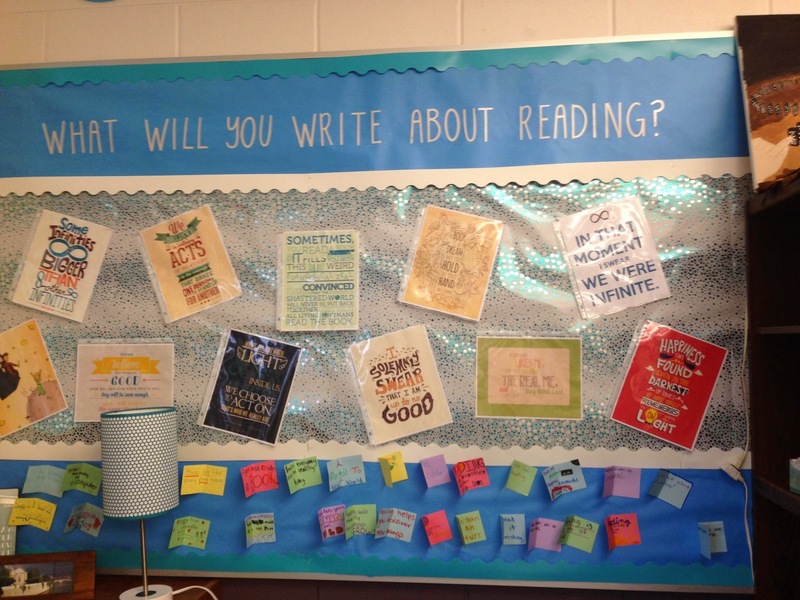 Did you create the quote posters on your "Reading" board. Love the way they're arranged!